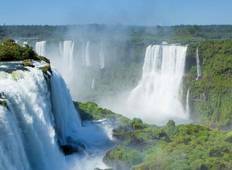 Find the right tour for you through Puerto Iguazu. 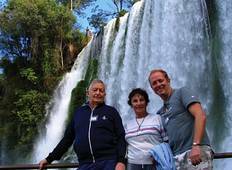 We've got 96 tours going to Puerto Iguazu, starting from just 3 days in length, and the longest tour is 102 days. The most popular month to go is June, which has the most number of tour departures. "Very professional, always on time, new and clean vehicles, very nice drivers and..."
"An amazing trip. A great way to cover a huge distance. I underestimated just how..."
"It was a tour organized very good and conveniently. I would have add the option of..."